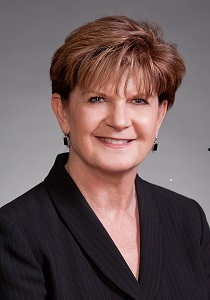 Teresa Rouse Maledy is the CEO/Chairman of Commerce Bank, Central Missouri Region. She was the first female bank president in the Commerce Bankshares organization, a $22 billion bank holding company with offices in Missouri, Kansas, Illinois, Oklahoma and Colorado. She is responsible for leading all facets of the bank’s retail and commercial operations in Central Missouri. Throughout her career of more than 34 years at Commerce Bank, Teresa has been actively involved in civic organization throughout the community, serving in multiple leadership roles with the United Way, the Columbia Chamber of Commerce, Columbia South Rotary Club, Greater Missouri Leadership Foundation, and the Central Missouri Food Bank. Teresa currently serves on the University of Missouri Economic Development Cabinet, the Missouri Partnership Board, the Stephens College Endowment Foundation Board and Columbia Insurance Group Board of Directors. She is also affiliated with the Alliance for Childhood Education and Cradle to Career Columbia Council. Ms. Maledy was honored as Greater Missouri Leadership Foundation’s 2014 Woman of the Year at a luncheon on Tuesday, May 20, 2014 at Stephens College in Columbia. Past recipients of the award include CiCi Rojas, the Honorable Ann Covington, U.S. Senator Claire McCaskill, Sister Berta Sailer, Deborah Patterson, Linda Arnold, and the late Duana Dralus.